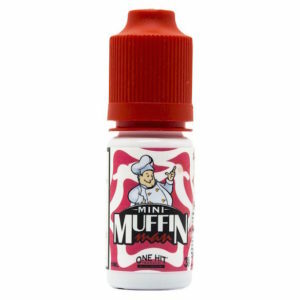 Mini Muffin Man by One Hit Wonder is the moist, plump, sweet, flakey, bursting with flavour refinement of the beloved strawberry muffin original, now in a miniaturized size. With only a small batch baked, these Limited Edition Mini Muffin Man sets come with a specially labelled 10ml bottle. Mini Muffin Man features a 80% VG to 20% PG composition for optimal vapor and the perfect amount of flavour.